This website contains detailed information on the essentials of the SI System. 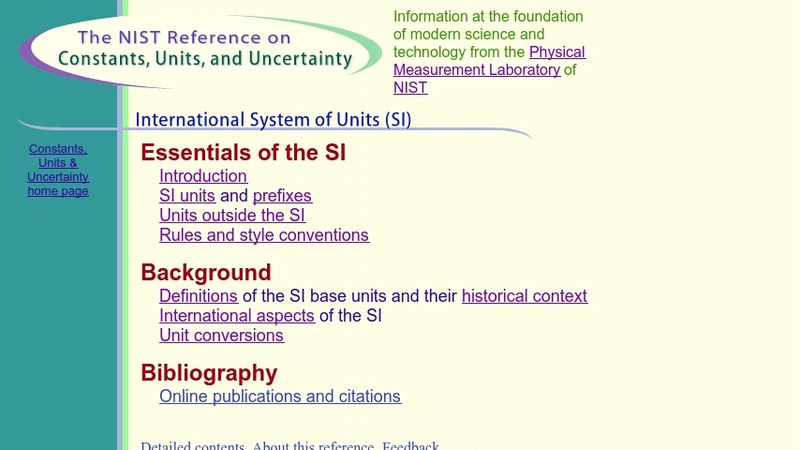 It includes definitions of the base units and their historical context, names and symbols of derived units, and a graphical illustration of relationships among SI units. Users will also find an authoritative section on rules and style conventions for using the SI. This item is part of a larger online reference resource developed and maintained by NIST, the National Institute for Standards and Technology. SEE RELATED MATERIALS on this page for a link to the NIST Fundamental Physical Constants.